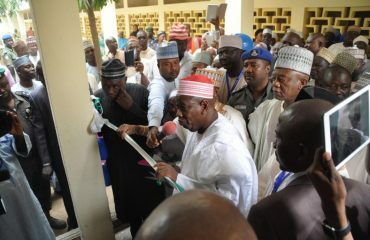 the Executive Secretary of the newly constituted Primary Health Care Agency of Jigawa State, Dr Kabir Aliyu, recalls. Since its inception in Jigawa in the early 2000s, the Gunduma Health System had paved the way for the integration of primary and secondary care services in Nigeria. However, evidence didn’t support having another decentralised administrative layer, and the Gunduma Health System was replaced by the Primary Health Care Management Boards (PHCMBs) whose biggest task has been the roll-out of the Primary Health Care Under One Roof (PHCUOR) policy to reduce fragmentation in the delivery of primary health care. 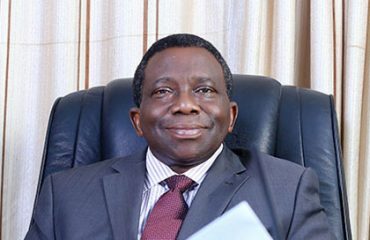 On his appointment, Dr Aliyu understood the government’s mandate to significantly expand the provision of Maternal and Child Health services in the state, but also the enormity of the task ahead. “This meant my very few staff and I would need to work hard 24/7, which was daunting”. To put this in context, the maternal and child health (MCH) care services in Jigawa are amongst the worst in the country. According to the National Demographic Health Survey (NDHS) 2013, Jigawa State had a total fertility rate of 7.6 children per woman, with only 1% using contraceptives and less than a fifth of the population using family planning. Vaccine coverage was 4%, while stunting among children under five reached nearly 60%. 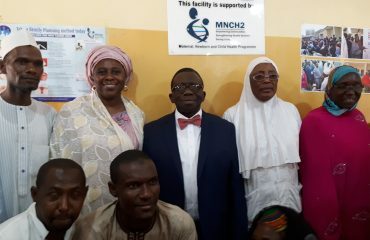 The UK government- funded MNCH2 programme has been working in partnership with state governments in Northern Nigeria to turn these statistics around and reduce maternal and child morbidity and mortality through strengthening the health system. This includes empowering the new PHCMBs by building their capacity. While leadership in Nigeria is a major challenge and its absence contributes to the failure of health systems, according to Dr Aliyu, “the political and financial commitment in Jigawa has been unprecedented”. As a result, since the start of the programme in 2013, about one hundred facilities have been renovated and now welcome patients with a brand-new look. Out of 700 facilities, 162 are now under better, integrated supervision. 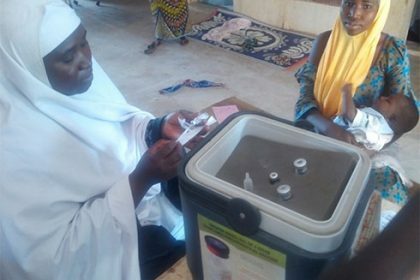 The result has been a steep rise in demand: families are visiting facilities for ante-natal care, births and for having their children immunized. 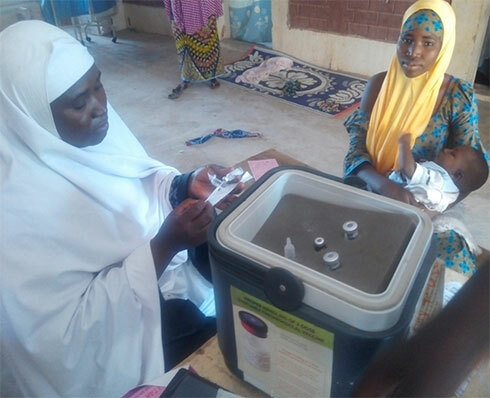 These efforts have enabled Jigawa to become the first state in Nigeria to launch the Primary Health Care under One Roof (PHCUOR) Policy to provide universal health care coverage, which has not become a reality even in many wealthier parts of the country. While there is still much work to do to transform the maternal and child health outcomes in Jigawa, the success of the partnership, gives Dr Aliyu confidence that every family in every community and political ward of the state will eventually receive MCH services – under one roof. “And that gives me great joy”, he adds. “Thanks to MNCH2 project and to UK government for investing in our people”. MNCH2 is a country-led project in line with national and state priorities. MNCH2 is supporting infrastructure upgrades; capacity building for existing human resources for health, as well as advocacy for additional resources; the procurement of drugs and other commodities; the provision of equipment; the strengthening of leadership and governance at both facility and ward levels; and integrated supportive supervision – all in line with national and state priorities. Proper integration and coordination of services and MCH programs. Collaboration with the Engaging Citizens Pillar (part of the UK government funded Partnership for Engagement Reform and Learning programme), has resulted in better coordination of MNCH activities and, thanks to another DFID programme, Women for Health (W4H), 450 new healthcare workers are bringing family planning, antenatal care, SBA, basic emergency obstetric care, and routine immunisation services to previously unreached rural communities. Decentralisation of MNCH services to strengthen community involvement. This is done through active involvement of community structures such as Village and wards Health committees.